Damp, condensation and mould is a common problem in many rental homes – especially older properties that lack ventilation. The downside is damp properties are unpleasant to live in as spores from mould are health risks, especially for children, the elderly and those suffering from allergies or asthma. Damp also eats away at plaster and the underlying walls, leading to costly repairs and drop in value of a home. Landlords have a responsibility to keep their rental properties damp-free – and tenants have a similar obligation once they have moved in. 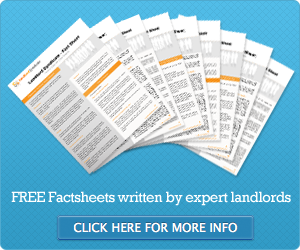 Many landlords have started issuing a ‘damp report’ when they hand over a home to tenants. The damp report is a confirmation that the home is free from damp and includes a guide for tenants about how to dry washing and ventilate rooms, like bathrooms and kitchens. The guide should explain that washing should not be dried on radiators or with a drier that is not vented to the outside. Also, landlords should explain why steamy rooms should have ventilation – and providing extractor fans is a good idea. Consider painting or tiling walls that could suffer from damp so they can easily be wiped down and treated to keep mould at bay. Older homes, especially those with stone walls, suffer from damp the most. Most modern homes already have extractor fans and good ventilation. If a damp report is given to the tenant but damp, condensation or mould shows up on inspections or at the end of the tenancy, then consider charging the tenant for any remedial work. After all, the report proves the property was damp free on the move in date, which is evidence to put before any independent adjudicator if your retain some or all of the deposit. Don’t forget overflowing gutters, leaking downpipes and other external problems like poor pointing can also cause damp to come in from the outside. Gutters should be checked and cleared in November, after the leaves from any nearby trees have fallen. Other damp checks should include external seals around windows and doors – even double glazing – and holes drilled through for broadband, TV aerials or satellite services.